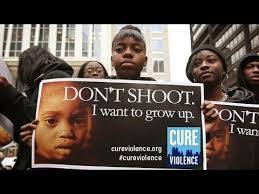 Challenge Detroit – Is Violence Treatable? In a city with a population of 677,116, Detroit reported 302 homicides in 2016, confirming the highest murder rates in the country. For decades there have been organizations, community initiatives, and law enforcement programs to help lower these numbers. Unfortunately there has not be a successful formula to remedy this issue. Chief Craig feels confident, if they can work with the (Michigan Department of Corrections) to help individuals who are returning citizens to make better choices, they can shrink that number. In April of 2016, a hospital-based initiative launched in Detroit — called Detroit Life is Valuable Everyday, or D.L.I.V.E. — under the guidance of Dr. Tolulope Sonuyi, is aimed at victims ages 14-30, help victims of violence, after they have been brought into emergency departments for treatment of injuries. The idea is to treat violence as a public health issue by addressing its symptoms much as one treats a disease. This is a new initiative because now the solution is to treat violence as a public health issue by addressing its symptoms much as one treats a disease. Similar to the Queensbridge Houses in New York, which had a reputation of gang and gun violence, but in 2016, they saw 365 days without a single shooting. This initiative, called Cure Violence, works to stop the violence before it starts by forming close connections with those at risk of committing a crime. Most programs that fight crime involves those who rarely threaten the community, but a working solution is addressing the victims of crime or those perpetuating these senseless acts. There is a saying that hurt people will hurt people, fighting violence can be treated by healing hearts. As the Executive Director of Identify Your Dream Foundation, it’s our mission to support the victims of crime in doing so we believe this will cure violence in the community. We understand that violence is treatable.